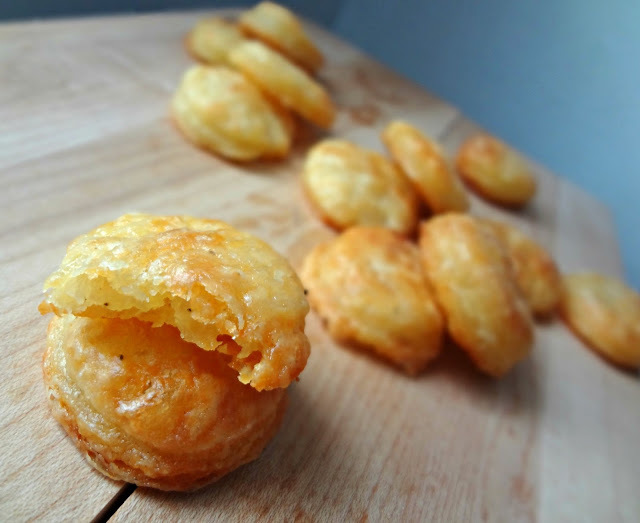 Imagine buttery, cheesy, crisp, yet flaky, little bites of heaven. Imagine cheez-its but...like...a million times tastier. Imagine Kayle eating 80 crackers over the coarse of like..2 days. I'm sorry about that last one. You guys didn't need that mental picture. The point is: these crackers are the shiz-nit. Oddly enough, cheese was never a big part of my diet until the last few years (I know, shocking). And cheese crackers were no exception: I thought they were OK, but they were never my go to. Fast forward to the last time my mom visited. She brought um...about 10 different kinds of snacks with her (a few varieties of potato chips, pretzels, chex mix, and-Cheez-Its). You see, my mom is a salty snack kind of gal. She rarely finds herself wanting a sweet (and when she does she's satisfied with a few ropes of red licorice). Obviously we are very different people. Anyway, from her snack peer pressure I had some of the stuff she brought. And then I was like "Um...Cheez-Its are like yummier than I remember." But I still wasn't going to buy them for myself because, um, super bad for you and stuff. (In spite of their ever so reassuring "made with real cheese" promise *eye roll*). Then I got into making homemade crackers. And saw a few copy cat recipes on the interwebs. In the end, this recipe won out because it was the simplest. Just pure, cheddar cracker goodness. And it delivered. These are like...pretty easy to make, and just taste incredible. So flavorful. So wonderfully cheesy. 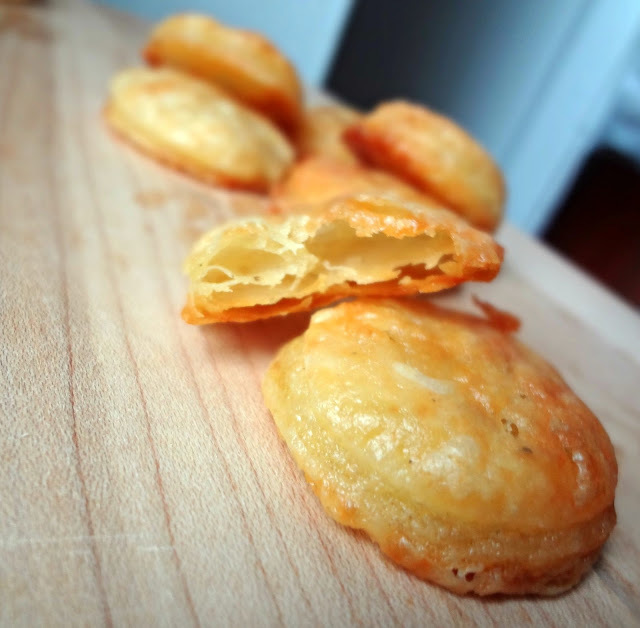 They're definitely best, texture-wise, the day they're made, but don't let that deter you from leftovers. They still hold up. They're pretty much the only non-sweet snack that I think I need in this life. Perhaps you'll agree? 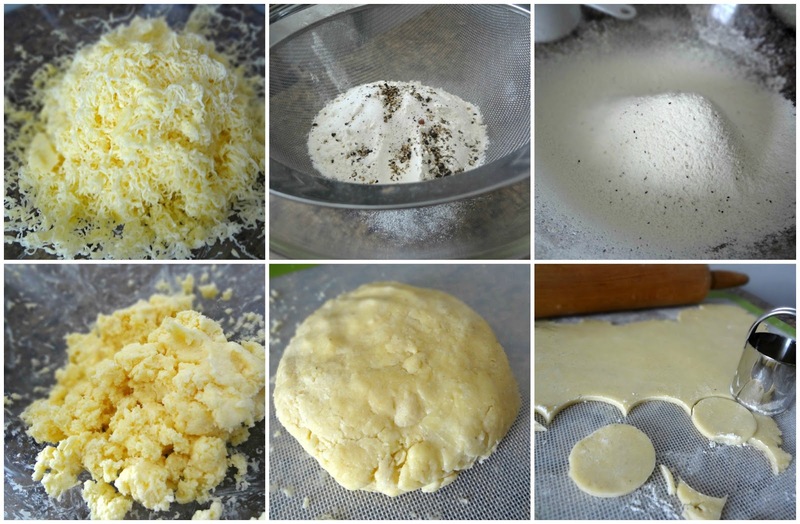 *Note: Don't be alarmed that in the pictures my dough is pretty much white--I used white cheddar. They still turned out a gorgeous, almost orange color after baking. You can totally use orange cheddar if that's what you have. Don't fret about it. 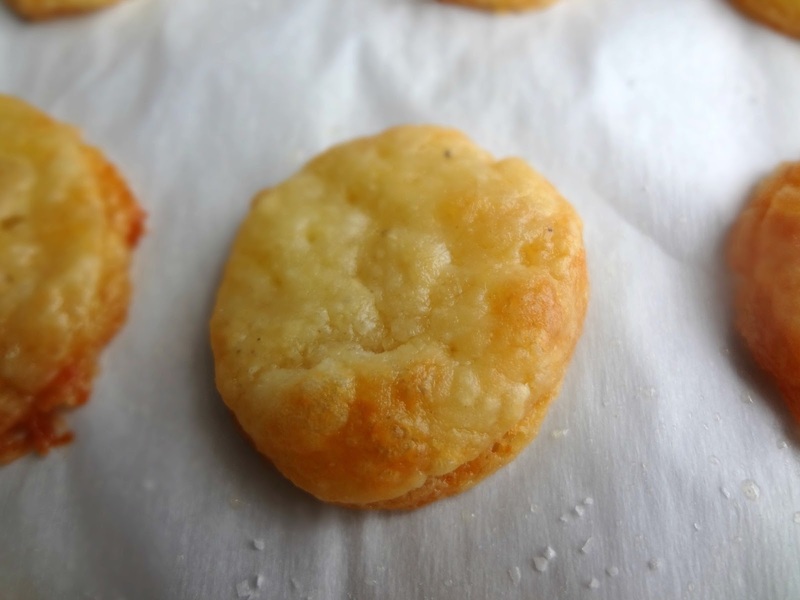 From Fork vs. Spoon's "Sharp Cheddar Cheese Crackers"
Sift together flour, salt, and pepper. In a separate bowl (using a hand or stand mixer) beat together the butter and cheese-it will eventually form a butter cheese ball. 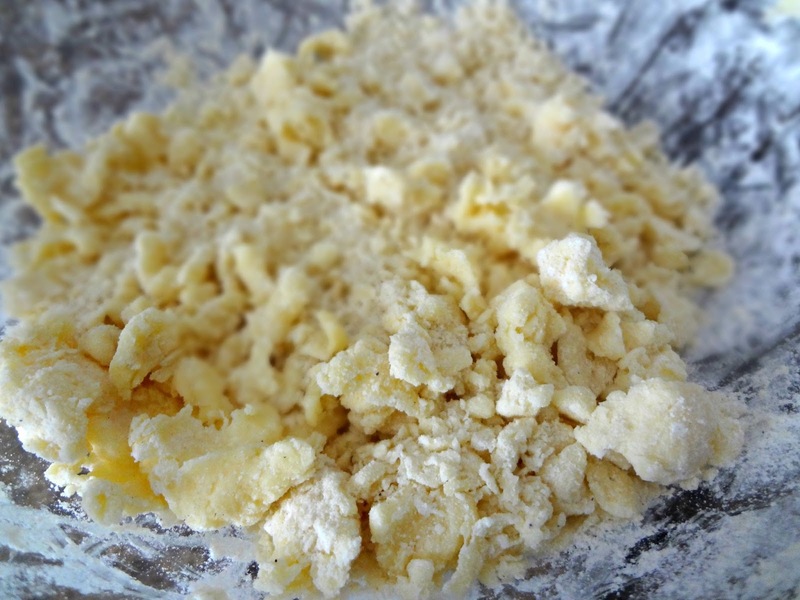 On low, beat the dry ingredients into the butter/cheese mixture until it forms a dough ball. (If this isn't happen and it seems too dry, like the photo below, add in little splashes of milk until it comes together like the photo above). 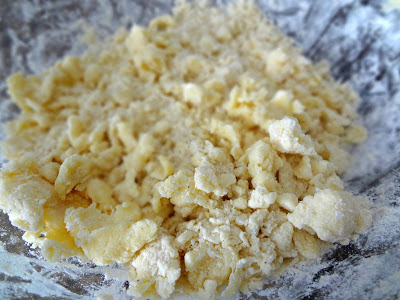 Put the dough on a lightly floured surface and knead for a few times to form a ball. Wrap in plastic wrap and refrigerate for about an hour. 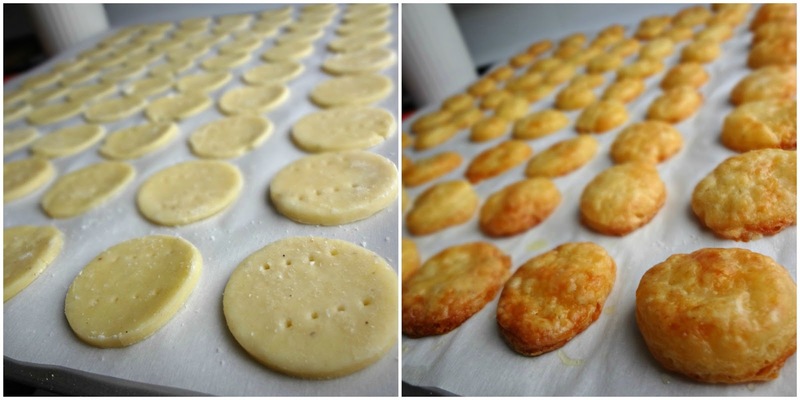 Preheat oven to 375 degrees and line baking sheet(s) with parchment paper. On a lightly floured surface roll out the dough very thin (about 1/8th of an inch). Use a small cookie cutter (or lid of a spice jar) to cut out the rounds and place them on prepared baking sheet(s)-they can be spaced fairly close together, they won't spread much. 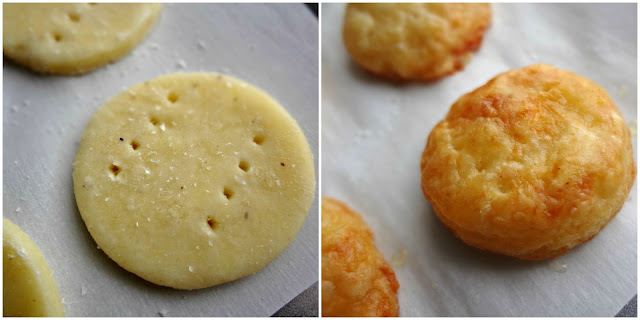 Use a fork to poke holes in the top of each round and sprinkle lightly with kosher or sea salt. Bake 12-15 minutes, until a golden (or...well...orangey) brown. Remove and let cool completely. These are best fresh (texture wise, the taste is always amazing), but will keep in an airtight container for 3 days. Aghhhh now I want to make eleventy thousand more of these and proceed to eat them in 10 seconds flat.